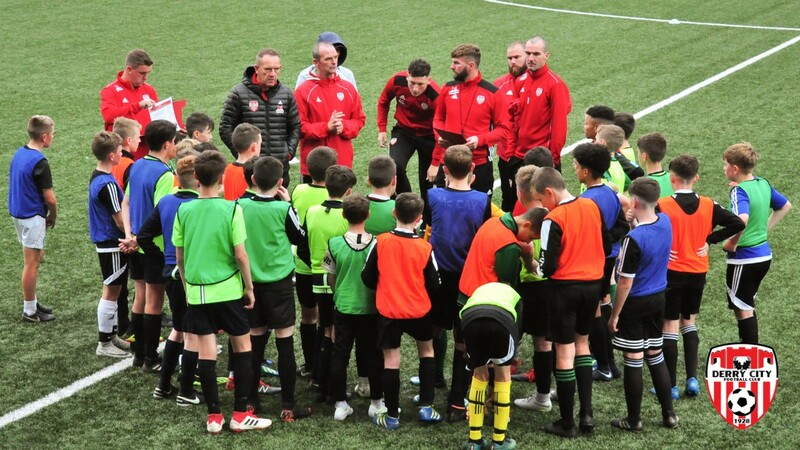 Paddy McCourt and Mo Mahon took their first under-13 training session at Brandywell on Monday evening as over 30 youngsters were put through their paces by the former Celtic and Derry City man. The session was also attended by Candy Stripes manager, Kenny Shiels, coach John Quigg as well as several first team players including Gerard Doherty, Aaron McEneff and Conor McDermott. With the national under-13 league set to start next March, squad manager McCourt said he was keen to ensure that the young players were given every opportunity to develop their talents and hopefully represent their city at national level. Accompanying photos are courtesy of Kevin Morrison (Event Images).